Cox’s Bazar: Cox’s Bazar, with the longest unbroken natural beach of the world, is considered as the tourist capital of Bangladesh. The 120 km long sandy beach is an irresistible attraction for tourist from all over the world because of its smooth and soft carpeting of silvery, surfing waves, and rare conch shells. The beauty of setting sun behind the waves of the sea is really breathtaking. Besides the resplendent beach, Cox’s Bazar offers such attractions as ornamented temples and pagodas, a Burmese market and a view of indigenous communities and their culture. Delicious sea-food and a drive to Teknaf, the southernmost tip of the mainland, are among few things one should not miss. Cox’s Bazar is located at a distance of 154 km south of Chittagong. Cox’s Bazar is connected both by air and road from Dhaka and Chittagong. Maheshkahli: Mosheshkhali is an island off the coast of Cox’s Bazar and is famous for its Buddhist temple or pagoda. The island hosts a magnificent a range of low hills through the centre of the island and along the eastern coastline. In the coastal hills lies the old temple of Adinath, which becomes a place of pilgrimage during the month of Falgun (March). The western and northern coasts of the island form a low-lying tract that is fringed by mangrove forests. Sonadia: Sonadia is a crescent shaped island off the Cox’s Bazar coast. Its western coast is sandy and is rich in different kinds of shells. At the northern part, there are beds of windowpane oysters. During winter, thousands of fishermen set up temporary camps on the island and dry sea fishes, which they catch from the sea. The island is also known as a paradise for migratory bids like ducks, sea-gulls, fowls and geese. Himchhari: It is located 18km south of Cox’s Bazar along the beach. The broken hills and waterfalls here are unique. There is a hilltop resort from where the shore of the Bay of Bengal looks enchanting. On way from Cox’s Bazar to Himchhari, the lovely green hills on the left and the blue waves on the right form an extraordinary scenic beauty. Teknaf: Teknaf is the southernmost upazila of Bangladesh. One of the major attraction of Teknaf is a cruise by boat or sampan (traditional boat). The town and its surrounding areas provide visitors an opportunity to see the people and culture of the Arakan and Rakahin communities. Teknaf beach is an attractive tourist spot. Besides, there is another beautiful beach at the farthest end of this upazila. Saint Martin’s Island: Forty-eight kilometers from Teknaf, Saint Martin’s is the country’s only coral island with beaches fringed with coconut palms and bountiful marine life. It has an area of only about 10 km. So it is possible to walk around the island in a day. Most of island’s inhabitants live primarily from fishing. Getting to Saint Martin’s is a three-step program. First you’ll need to fly or bus it down to Cox’s Bazaar, and then catch a bus to Teknaf, which is right on the very tip of Bangladesh. Teknaf to St. Martin is a 3 hours journey on ship. The beauty of the setting-sun behind the waves of the sea is simply captivating. Kuakata: It is a spot of rare beauty at the southernmost tip of Patuakhali district. It has a wide sandy beach which provides the unique opportunity of watching both the sunrise and sunset from same place. Kuakata is a place of pilgrimage for the Hindu and Buddhist communities. Many devotees arrive here during the festival of Rush Purnima and Maghi Purnima. Srimongal: Srimongal is famous for having the largest tea gardens in the world, and is known as the tea capital of Bangladesh. Covered by the lush green carpet of tea plants, it is called ‘the land of two leaves and a bud’. Tourists can have a look at the terraced tea gardens, and pineapple, rubber and lemon plantations. A visit to a tea plantation in Srimongal is a memorable experience. Madhabkunda: Madhabkunda, in Moulvibazar district, is famous for its charming water fall. The journey to Madhabkunda itself is exotic. On the way visitors can see the greenish beauty of tea garden, the hills and the zigzag road through the hills. Rubber and lemon plantations form a beautiful landscape. Khagrachhari: Situated on the left bank of the Chengi river, the district of Khagrachhari represents the natural wild beauty of Bangladesh. Away from the mechanized monotony of modern life, a holiday there can be memorable. In Khagrachhari, the Biju festival is celebrated by tribal people every year in April. 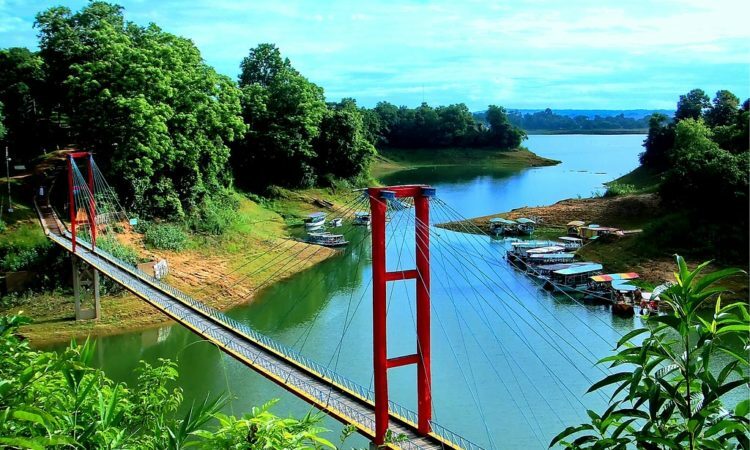 Rangamati: It is arguably one of the most picturesque tourist destinations in Bangladesh, ringed by numerous hills and situated right on the sparkling waters of Kaptai Lake. A cruise on the lake can be a memorable experience. There is an enchanting island resort in the middle of the Kaptai Lake, with a restaurant offering delicious tribal dishes. The Chakma King’s Palace is worth visiting. The Tribal Museum displays valuable objects and articles associated with the socioeconomic, cultural and traditional life of tribal people of the region. The Shundarbans: The Sundarbans is the largest mangrove forest of the world. It stretches through the coastal area of India and Bangladesh. In Bangladesh, it covers an area of 6017 sq.km. It is the natural habitat of world famous Royal Bengal Tigers, Spotted Dears, giant saline-water crocodiles, rhesus, lizards, wild boar, jungle foul, monkey and others. The Subdarbans host splendid wildlife habitat: 334 species of plant, 49 species of mammals, 315 bird species, 53 reptiles and 8 amphibians. For its extraordinarily diverse wildlife, the World Heritage Committee of UNESCO has inscribed the Sundarbans as the World Heritage in 1997. This unsurpassed jungle is only accessible by boat. The most attractive wildlife sanctuary and eco-tourism spots of Sundarbans are Katka, Kachikhali, Tiger Point, Egg Island, Dubla Beach, Hiron Point, Tinkona, Mandarbaria, Kalirchair, Pushpakathi. Bandarban: The Bandarban hill district is 92 km away from Chittagong and is situated in the southwest flank of Myanmar hill range. This is the most attractive place to visit and to get a touch of tribal life, luminous valley covered with dense forest, enchanting spring and falls, panoramic lake and ideal hill trekking. Here one can see the Moorang tribal villages, traditional markets and Buddhist Temple. Visit to Shaila Prepat and Chimbook Hill would be memorable. Trekking to the hilltop (3800 feet high pick) has got a spectacular natural attraction, especially to witness the sunrise and sunset will give you a sensational experience. Mainamati: It is called the Seat of the Lost Dynasties, which lies in a range of low hills in Comilla district. The whole range of hillock runs for about 18km and is studded with more than 50 sites hosting the Buddhist civilization of 7th-12th century AD. 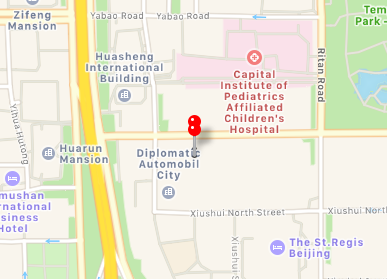 A site museum houses the archaeological finds which include terracotta plaques, bronze statues and caskets, coins, jewelry, pottery, utensils, and votive stupas. Mohasthangarh: Mohasthangarh is invariably an ancient fortified city acclaimed to be the one of the soldest settlement and the most prominent archaeological sites of Bangladesh. The oldest layer dates back to 300 B.C. The ancient Pundranagar, the capital of Emperor Chandragupta, the founder of Moyura dynasty was located here. The rich archaeological museum of Mohasthangarh have got rare collection of antiquities, terracotta objects with many other relics recovered from the site. Liberation War Museum: The museum houses historic records of the liberations struggle in an objective and authentic way. The museum in collaboration with eight other similar museum of the world has formed an International Coalition of Historic Site Museum of Conscience. The number of items in the museum exceeds 10,000. The museum is located in Dhaka. Bangladesh National Museum: It is the biggest museum in Bangladesh and located at Shahbag area in the city of Dhaka. Its staggering collection of over eighty five thousand pieces are beautifully preserved in the twenty thousand square meter building, that is home to large exhibits. The Museum has a great collection of history, heritage and culture of Bangladesh and of the region as well.